Good people know how to make a signature bloody Mary mix. Save yourself from potential social embarrassment and take our crash course on how to make the most delicious bloody Mary mix on the planet—you’ll never buy the pre-made stuff again. Our mixture is thick, spicy and creamy, each and every ingredient carefully thought through and tested to perfection. We’re always tempted to add more horseradish than the recipe calls for, but then again, you can always add more later for partakers who like to have their nose run while they’re sipping. The beauty of this recipe is that you can make it ahead and store in the fridge for up to a week. We like ours with vodka, but it’s a tasty treat all on its own! In a large mixing bowl, combine all ingredients and mix well. Store in glass jars in the refrigerator. 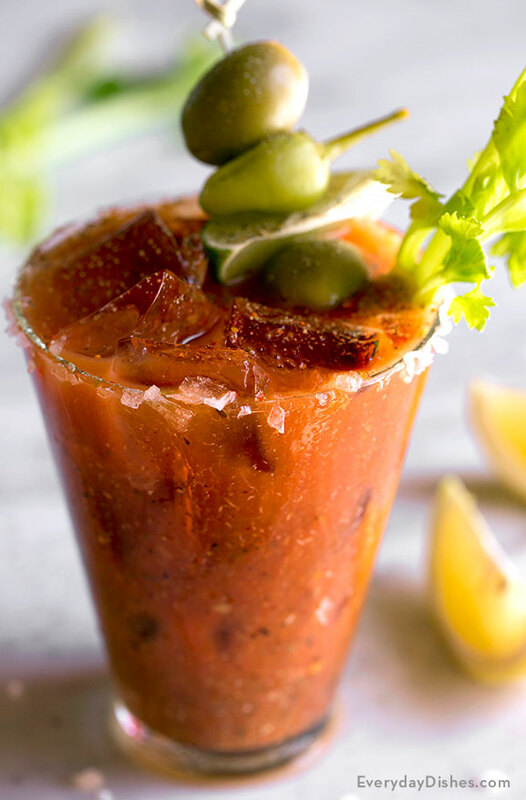 The super secret twist on this bloody Mary mix is the use of pepperoncini juice. The results are spicy but not so much that it burns—the best of both worlds!